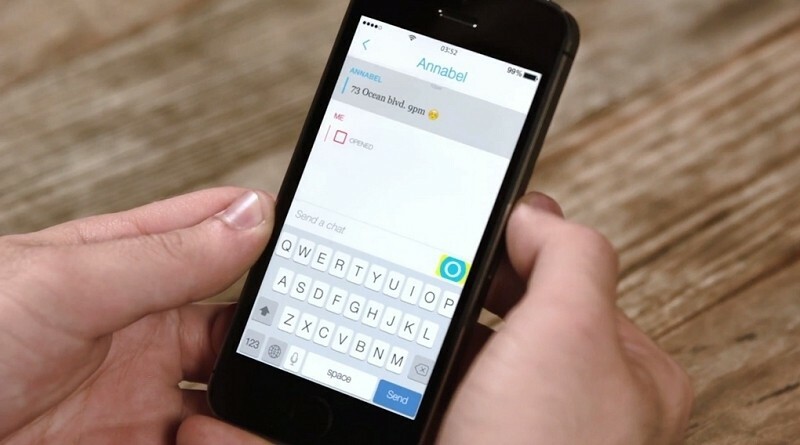 Snapchat has added two new features that are sure to boost the app’s usefulness: the ability to have a true text-based conversation and face-to-face video chat. Both features are true to the nature of the app as once you leave a conversation, all records of it vanish. To enter text mode, simply swipe to the right from the main camera screen. From here, you’ll see a list of friends available for chat. Select a friend and you’ll enter into a chat interface that isn’t unlike other texting-based apps you’re already familiar with. When a friend is actively engaged in a text chat, you’ll notice a pulsing blue icon at the bottom of the screen. Simply press and hold this button to initiate a one-way video chat (they can see you but you can’t see them). If your friend is so inclined, they can also hold down the blue button on their end to let you into their world. Release your grip on the button and the video feed gets shut down. The additions are a clever way for Snapchat to add additional functionality to their product while simultaneously honoring the core values of the app. An update to enable the new chat features will be available via the App Store and the Google Play Store today. Naturally, both you and your friend will need the update to enable text and video chat.